Is This The Apple TV Update You've Been Waiting For? Is This The Apple TV Update You’ve Been Waiting For? It’s here. It’s finally here. The long-awaited update to the Apple TV has arrived, and it looks amazing. The larger chassis of the latest Apple TV packs in features that have been sorely missing from earlier models. There’s Siri, third-party applications, and a significantly improved controller. For the first time ever, it’s priced to compete, too. There are two models, with the 32GB one coming in at $149 USD, and the 64GB one selling for $199. Finally, Apple has delivered a streaming box we can be excited about. But is it too little, too late? Apple’s new box enters a market that’s increasingly crowded, and it no longer feels like a sure bet in terms of swallowing market share. They’ve got to best old rivals like Roku, Google, and Microsoft; and new foes — namely thousands of factories in Shenzhen that pump out cheap Android Internet TVs by the thousands. So, are there any compelling reasons to get a new Apple TV in 2015? I think so. Before we look at the latest Apple TV, it’s probably worth taking a look at the older version to see how radically different this new model is. Previous Apple TVs were perfectly adequate for streaming Netflix, or renting movies from iTunes, but they couldn’t do much more than that without extensive, warranty-breaking tweaks. The first generation Apple TV (released in 2007) was essentially an OS X computer, running a modified version of Leopard that was skinned to give easy access to the Front Row software, and not much else. Hackers were able to modify it to run the full version of Leopard, effectively turning it into an affordable Mac Mini. Later versions (like the third-generation Apple TV we reviewed Apple TV Review and Giveaway Apple TV Review and Giveaway Apple introduced its set-top digital media player in 2007, and it's currently on its third generation of hardware. Read More in 2014) ran a customized version of iOS, replaced the integrated hard drive for smaller, flash-based storage, and came in a more diminutive form-factor. But the premise was the same: consume movies and TV shows through Apple’s tightly controlled paradigm. As before, there were no third-party applications. Once again, there was a hacker community willing to make it work. The second generation of Apple TVs in particular were especially hackable. Until recently, they were going for hundreds of dollars on Ebay, simply because you could tweak it to run applications like Kodi How to Set Up Your XBMC Media Center How to Set Up Your XBMC Media Center XBMC may have evolved into Kodi, but if you have an old version installed this guide will help you set it up and get started. Read More (formerly XBMC, and before that Xbox Media Center), and the Plex media player Your Guide To Plex - The Awesome Media Center Your Guide To Plex - The Awesome Media Center If you have a lot of locally-saved movies and TV shows, you need to install Plex. And this is the only guide to getting started with Plex you'll ever need to read. Read More . One thing that remained static throughout each generation of the Apple TV was the remote control. This looked sleek and futuristic, and avoided many of the design carbuncles of other smart TV remote controls. But it wasn’t easy to use with the relatively clunky UI, and searching for content involved a lot of button mashing. The saving grace of the Apple TV was its price. At $69, it competed with even the most budget-oriented TV boxes, including the Roku 3. But that’s all changed. The latest Apple TV is unrecognizable from earlier models, and that’s a good thing. The Apple TV experience has been radically overhauled in this latest iteration. The unit runs a new operating system (based on iOS) known as tvOS, which is pretty. Really pretty. Past Apple TVs were known for their drab and dingy UI, but this one is brighter and eye-poppingly beautiful. You can tell it was heavily inspired by the flat design and pastel colors of the latest iOS. And for the first time, there’s an air of customization about it. The home screen, for example, can be filled with your own applications and favorite content, and can be arranged as you see fit. One of my favorite things about the latest Apple TV happens when you’re not even using it. When left inactive, it turns on the screensaver mode, which displays the most stunning examples of aerial and landscape photography you’ve ever seen. It almost makes you not want to use it. Moving away from aesthetics, the Apple TV for the first time allows you to download third-party applications and games, with Apple’s consent. Since it is effectively running the same operating system as that which runs on the iPhone and iPad, tweaking existing games to run natively on the Apple TV will be easy. You can also expect to play some amazing games at launch, including Manticore Rising, Rayman Adventures, and even Guitar Hero. One of Apple’s iconic strengths is how it provides developers with the tools and guidance necessary to create amazing experiences — as has been demonstrated countless time with intuitive, creative and technically impressive Mac, iPhone and iPad apps. Like most people, I’m really excited to see how these applications run on the big screen. The new Apple TV also features a dual-core, Apple A8 chip (break down the jargon behind mobile processors Jargon Buster: The Guide to Understanding Mobile Processors Jargon Buster: The Guide to Understanding Mobile Processors In this guide, we'll cut through the jargon to explain what you need to know about smartphone processors. Read More ). This is the same chip that powered the iPhone 6 and iPhone 6 Plus, which should provide a fast, smooth gaming and streaming experience, even when watching high-definition content. Unfortunately, those with 4K UHD TVs are going to be disappointed. The Apple TV can only output video in 1080p format. This feels like quite an oversight, given that 4K is the next big things in terms of visual fidelity (Netflix and YouTube have offered 4K content for some time What Can You Actually Watch On a 4k TV? What Can You Actually Watch On a 4k TV? 4K TVs were definitely a hot gift this past Christmas—but what can you actually watch on one? Read More , and NASA is about to offer its own 4K online TV channel), and it’s rumored Amazon is about to launch a 4K Fire TV box. Audiophiles will love the fact that it supports 7.1 Dolby Surround Sound — older Apple TVs could only support 5.1 Surround Sound. In short, the new Apple TV is gorgeous, and can do more than ever. The new Apple Remote is so different to the last that it’s unrecognizable. Gone is the not-quite-a-clickwheel circle in the centre, which has been replaced by smaller array of dedicated buttons: two to change volume, one home button, one menu button, a play/pause button, and one to activate Siri. It also features a glass trackpad which allows you to control the Apple TV using scrolling and gestures. The remote also has an accelerometer and gyroscope – effectively making it an ultra-sleek, minimalist games controller. That said, the Apple TV also supports third-party controllers, like the Nimbus SteelSeries. The Apple Remote also uses two noise-cancelling microphones for barking commands at Siri — perhaps the most (pleasantly) surprising addition to this refresh. You can search for TV shows based on guest actors (“Find me the episode of Star Trek Deep Space Nine with John De Lancie in it.”). You can even search based on actor (“Show me something with Jason Statham in”). Miss something? Just ask Siri “What did he/she say?”. You can also use Siri to launch applications and games. Want to play Guitar Hero? Just say “Play Guitar Hero”. It’s graceful, and beautiful, and Apple hopes it will radically change how we interact with our televisions. The latest Apple TV represents the device’s biggest refresh since 2012, and has transformed Apple’s nascent streaming boxes into powerful multi-purpose devices. Devices you probably want to buy. But as we alluded to earlier, there are a lot of compelling competitors. One of the reasons to celebrate this season’s Apple TV is the inclusion of Siri. 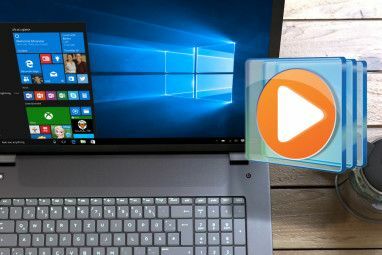 But there are already a number of Windows based streaming boxes that can support a similar feature — like the Minix Z64 Neo Minix Z64 Neo with Windows 8.1 Review and Giveaway Minix Z64 Neo with Windows 8.1 Review and Giveaway This tiny, affordable computer bridges the gap between media-streamers like the Apple TV, and mainstream computers. It offers a complete Windows 8.1 experience in a tiny footprint, but at roughly the same price point. Read More , which we reviewed earlier this year. Upgrade to Windows 10, and you’ve got Cortana How Cortana Became The "Other Woman" In My Life How Cortana Became The "Other Woman" In My Life She appeared one day and changed my life. She knows exactly what I need and has a wicked sense of humour. It's little wonder that I've fallen for the charms of Cortana. Read More , which many argue is just as good as Siri. Although, in fairness, it’s nowhere near as media-focused as the Siri implimentation on the Apple TV is. The new Apple TV is perhaps one of the most games-friendly streamers on the market. 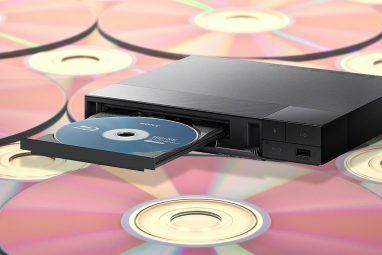 The built-in A8 chip blows its rivals clean out of the water, especially the recently-discontinued Ouya OUYA Review And Giveaway OUYA Review And Giveaway When the OUYA was first announced and funded on Kickstarter, the Internet was positively buzzing over the possibilities for this tiny Android-based console. Kickstarter backers began receiving their consoles months ago, and early reports were... Read More . It’ll only be a matter of time until developers start porting their already-existing games to the platform en-masse, making it even more enticing. That said the Apple TV might be overkill for some people. If you’re just looking for a basic streaming system, you might as well get a Chromecast How to Set Up Your New Google Chromecast How to Set Up Your New Google Chromecast If you own a brand new Chromecast but have no idea how to use it, let our easy-to-follow guide help you get started in mere minutes. 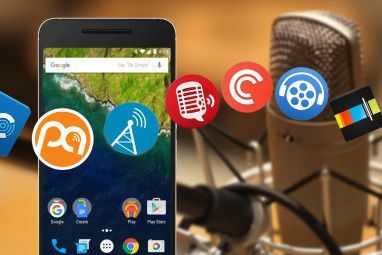 Read More , which costs a mere $29, and provides an easy avenue to Google Play Movies and Music, as well as third-party applications like Plex and Netflix. Alternatively, you could get a Roku 3 for $89 Roku 3 Review and Giveaway Roku 3 Review and Giveaway As more content becomes available online, the need for a traditional television subscription may not be enough anymore to justify the costs. If you’re already subscribed to services like Netflix or Hulu Plus, now may... Read More , if you’re craving a little more oomph. One thing Apple does well is creating beautiful experiences that entice and enthrall. The new Apple TV looks set to do that in buckets, and I’m probably going to put my money where my mouth is — will you? 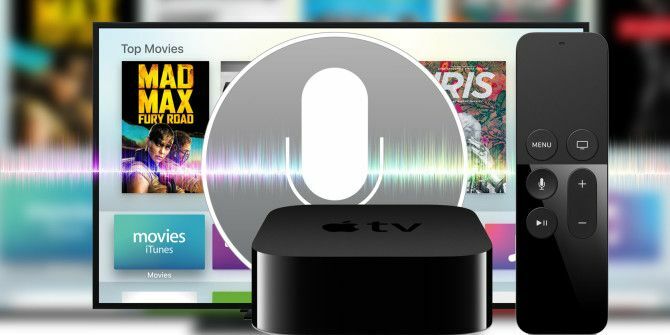 The new Apple TV will arrive “at the end of October” according to Apple’s official press release, so keep your eyes peeled for the MakeUseOf review and giveaway. I’ll be getting one, will you? Explore more about: Apple TV, Media Player. They very well might have caught me with a Cable Card slot. Thus my Tivo. The author compares the AppleTV to the Ouya, but neglects the Amazon's FireTV devices. The FireTV ecosystem most definitely supports gaming and in point of fact offers a dedicated gamepad accessory as well. It also supported voice control at its release, 18 months ago. This very much looks like a catch-up device to me.